Can Belle Isle Park be a safe and shared play space for dogs and kids? Dogs playing unleashed Sunday in Belle Isle Park. 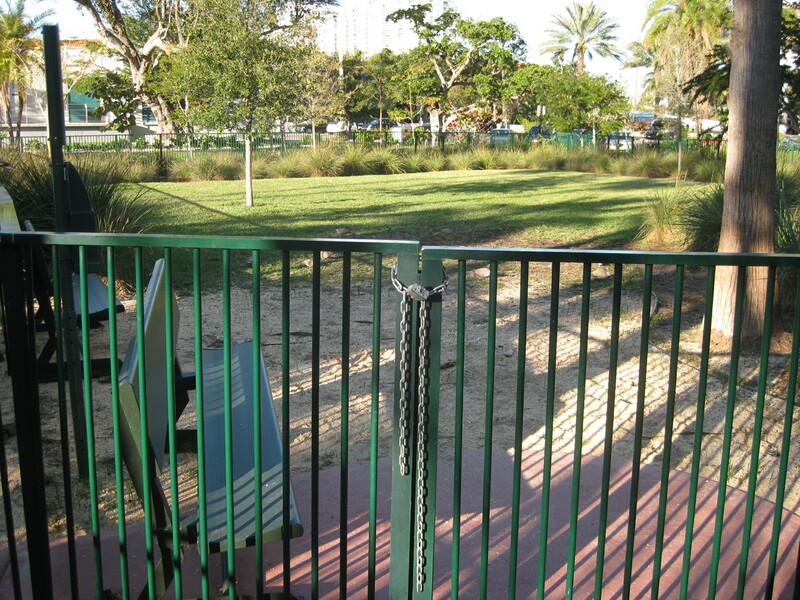 Back in the middle of the last decade, when Miami Beach renovated Belle Isle Park, planners envisioned a passive park with designated play space for dogs in two fenced runs. 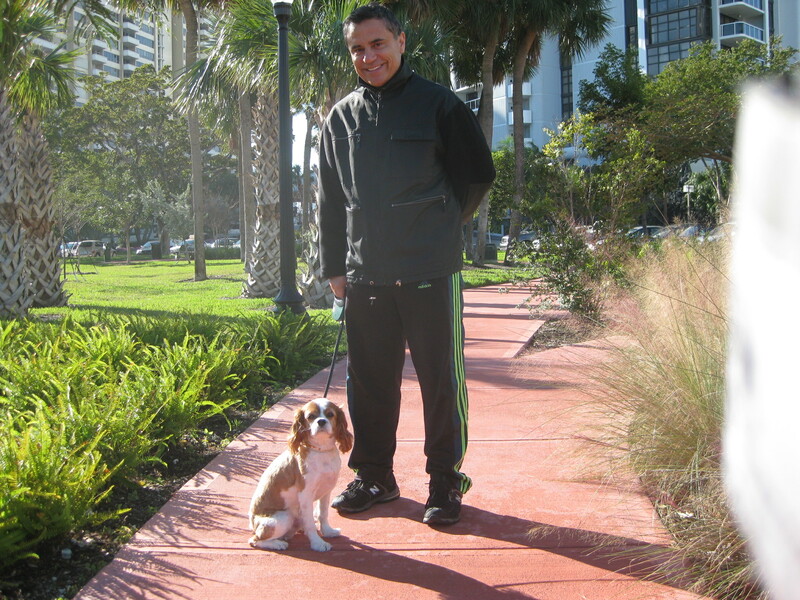 Back then, dogs hugely outnumbered kids in Belle Isle residences and Belle Isle Park. You can make the case now that that kids are catching up — or have caught up. If you live on our island, you know the demographics of Belle Isle have changed a lot. We have many more young families. You see moms and dads pushing strollers and walking and running little ones every day in and around the park. There are also many dogs with owners outside the dog runs — which is perfectly fine — and often others running the park unleashed, which isn’t so fine. Some parents have approached the Belle Isle Residents Association to ask if there could be a dog-free patch of Belle Isle Park. They’d like an area where their kids could safely play without having to worry about them falling into a pile of poop or pee from an errant pet. 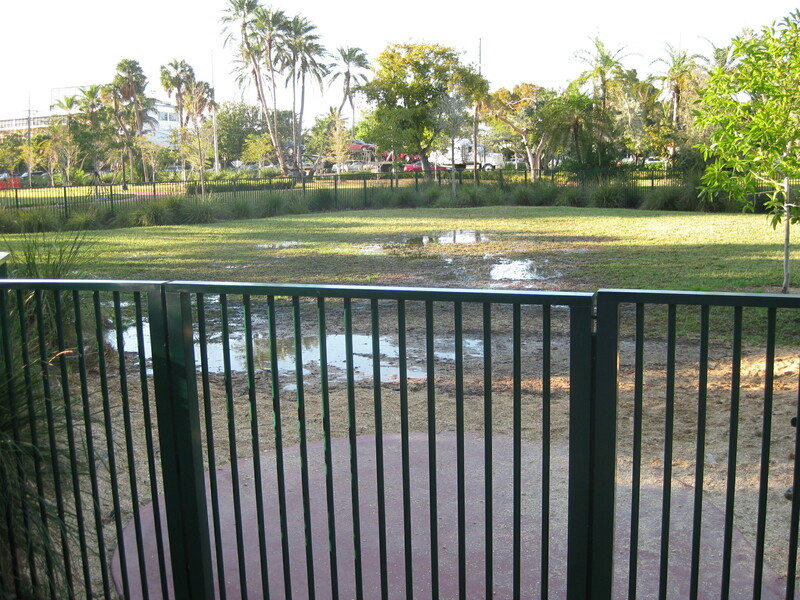 You may think, “hey, there’s a great playground at Maurice Gibb Park, go there.” And true, there is. But that’s a long way to push a stroller for a few minutes of exercise, and even more difficult with our ongoing road construction. With a park at our front door, should it be necessary if all you want to do is run around with your kids? If you are thinking that dog owners are required to clean up after their pets, you are correct. But even the cleanup leaves a residue, and no one cleans up after a dog that pees on the grass. At the residents association meeting on Jan. 21, BIRA President Scott Diffenderfer asked for volunteers to discussion ways Belle Isle can address the issue. A couple of parents reached out at the meeting, but more involvement would be welcomed. If you are interested, email bira@belleisleresidents.org. 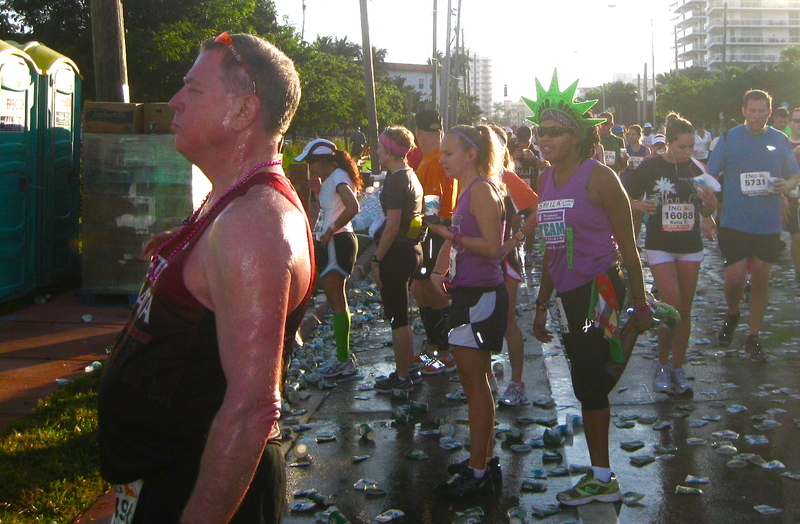 The Belle Isle water station included a bathroom stop for 21,000 runners. 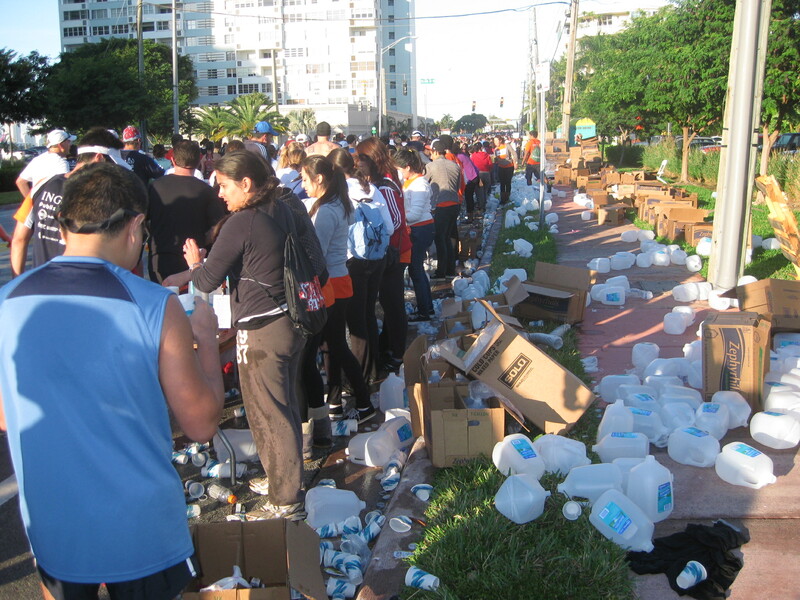 The 2011 ING Miami Marathon made good on its promise Sunday morning: The water station crews were quiet, the runners were happy and the cleanup happened with amazing swiftness — a great event and great morning on Belle Isle. The first three men crossed just after 7 a.m. 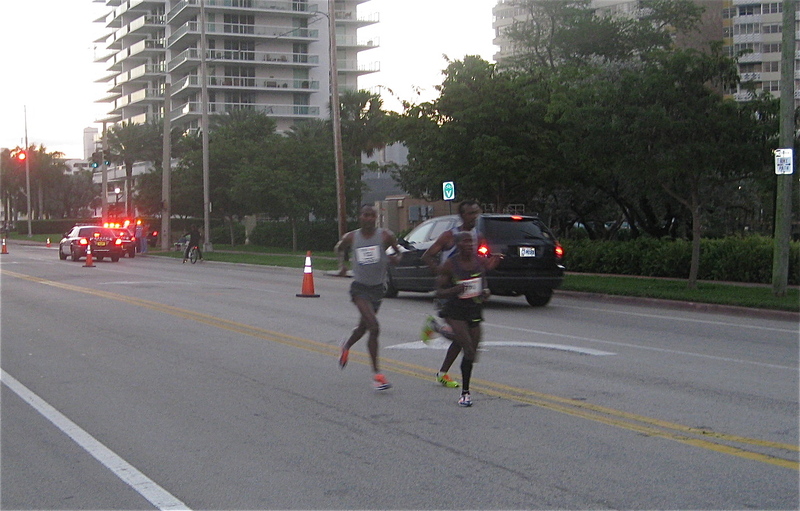 There were runners (and wheelchair athletes) of every speed, shape and size — from the three front-runners who crossed our island just after 7 a.m. to the walkers working their way along two hours later. Belle Isle residents cheered, held signs, kids and pets. Your Belle Isle Blog got out early to document the moment — and here are lots of photos to share. 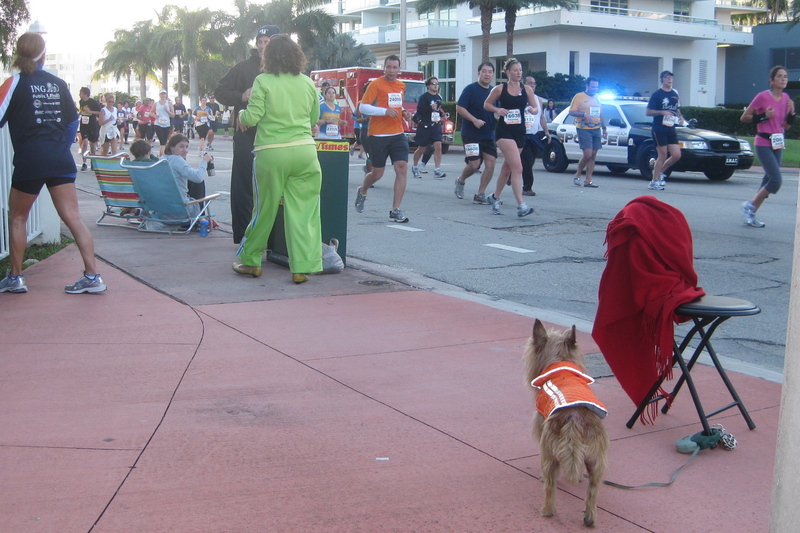 Belle Isle residents and pets cheered the runners. When the race started at 6:20 a.m., there were 21,400 registered runners for the 13.1 mile half marathon and and the 26.2-mile marathon, a record for the race. Workers dispensed an amazing amount of water and Gatorade. By 10:30, almost all the crushed cups were gone — and amazing cleanup by a well-organized crew that spent hours dispensing water and Gatorade to the thousands of runners. 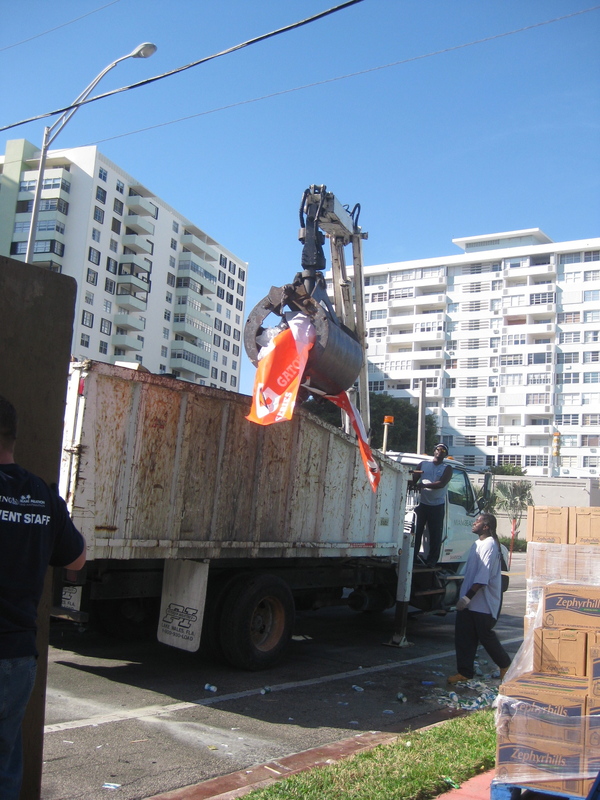 Then they took up rakes to clean up the cups, while trucks moved in to pick up and remove the mess — from the Venetian Causeway and the dozen Port-O-Lets set up in front of The Standard. Miami Beach Commissioner Jonah Wolfson met with Belle Isle residents Thursday night at the Belle Plaza condo, and spent about an hour listening to complaints about traffic, street flooding, loud motorcycles and other issues. – On the South Beach Local bus service, which added Belle Isle to its route last year, Wolfson heard praise from residents who use it and complaints from folks who don’t. Supporters and opponents complained that the buses seem to go too fast on the narrow two-way road on Island Avenue. Who likes Belle Isle the best on a beautiful Sunday like today? 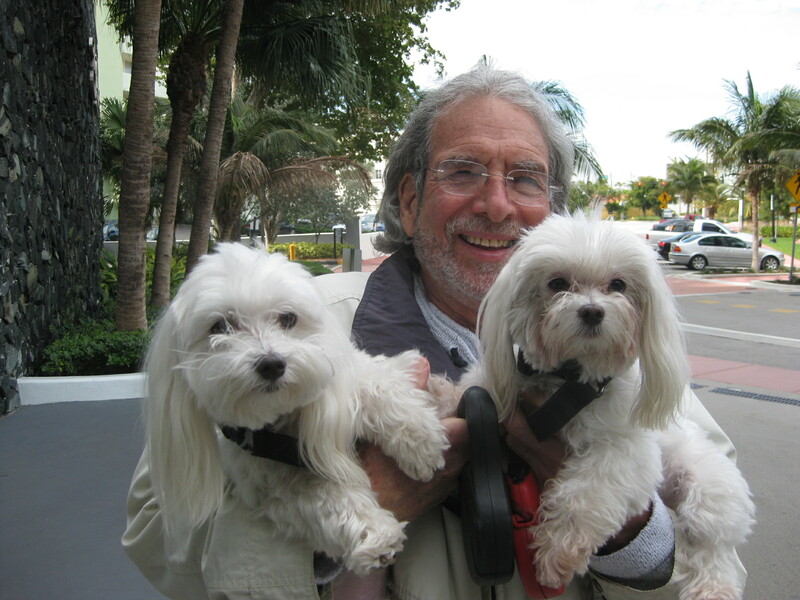 Mishu and Max and Murphy and Duke? And Zoey, too! You can check out other Belle Isle dogs here and here. Mishu (that means Teddy Bear in Polish) and Paul. Hey, come on! Look in the camera! 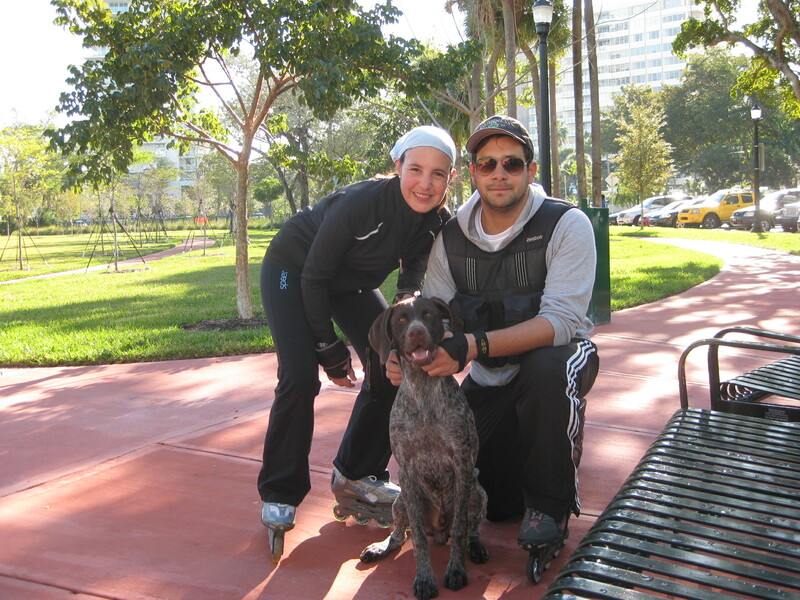 Daniela, Renan and Bono, their shorthair German Pointer. We love our Belle Isle dogs, and we add these to our gallery — along with a question. ....and the other run is dry and locked. You want to meet your Belle Isle neighbors? Walk your dog in Belle Isle Park. Or borrow a dog and walk it in Belle Isle Park. 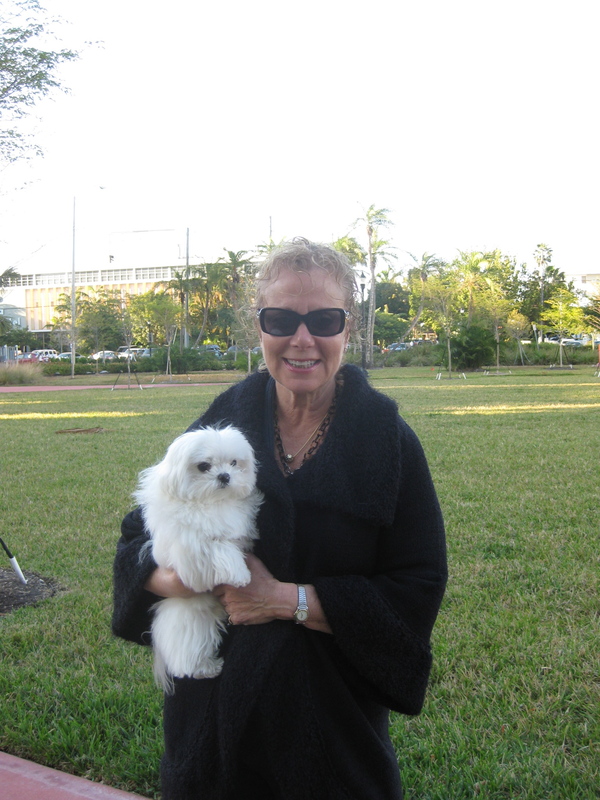 Or ask one of your neighbors walking their dog if you can take their picture for the Belle Isle Blog. We know it’s shameless. But people love their dogs. And dog pictures. And we want people to love the Belle Isle Blog. So we’re going to go on a mission of photographing the dogs of Belle Isle. Here we go!